sky. "It started falling apart towards the end of my field of vision,"
they burned up more quickly and disappeared." showers or other celestial phenomenon that evening. through the Earth's atmosphere and burns for a long time." Such occurrences happen more frequently than most people are aware," Mammana added. feet. But the telescopes didn't detect any intermediate-sized pieces. LINEAR's nucleus may be somewhat smaller than current theories suggest. distance of 64 million miles (102 million kilometers) from Earth. C. Arpigny (Liege Univ. ), J. Bauer (Univ. of Hawaii), M. Combi (Univ. G.-P. Tozzi (Arcetri Observatory), D. Yeomans (JPL). at the time. I was wondering if you knew what this could be? Albuquerque - It's a bird. It's a plane. It's a meteorite. "Very bright like day turning to night," said Janice Marshall. The mystery on La Fiesta Dr. off of Osuna began at 11:30 p.m.
"Well, the electronics went off in the house too," Marshall said. When Marshall went outside to investigate along with other neighbors, they said they found evidence of a meteorite. "You could see white patches going up the street," added Marshall. "Very, very rare," said Newsom. "Maybe one (meteorite sightings) in a few hundred turns out to be real." It turns out that bright flash that startled so many residents on La Fiesta came from above. Just not where they thought. "Unfortunately, I don't think it's a meteorite," said Newsom. Remember what Marshall said about her electronics losing power in her house? does break, it causes a flash of light and a temporary loss of power. The PNM spokesperson said that's exactly what happened just after 11:30 Monday night. Prof. Newsom thinks the rocks on La Fiesta were actually volcanic; commonly used for landscaping. "There's no visible metal in these," said Newsom. "This is pumice that fell out of a truck I'm afraid." For residents on La Fiesta Dr.: mystery solved. "I didn't know what it was," said Marshall. 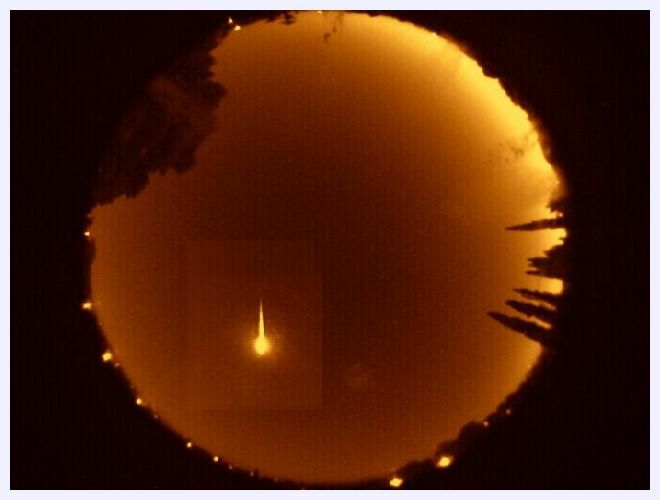 A lot of people also thought they saw a meteor just after 5 o'clock Monday morning, and they were right. There were actually three meteors visible, but that one was the most prominent. It could be seen for four seconds. 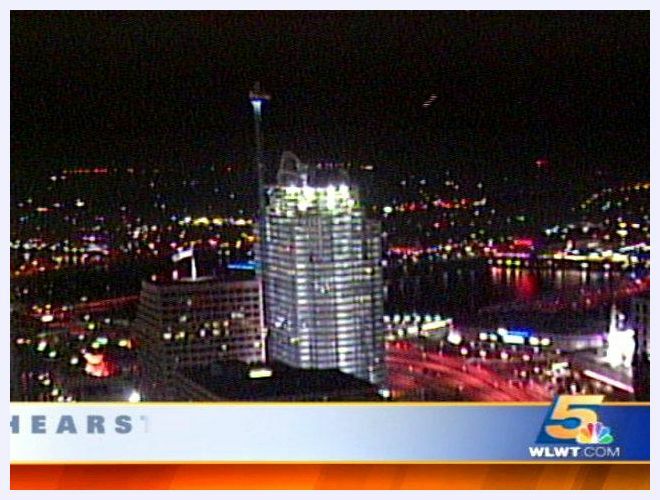 Cincinnati -- It moved faster than a bottle rocket, was smaller than an airplane and didn't fall from the sky. Beyond that, the question of what was caught on a News 5 skycam at the end of Tuesday's 11 p.m. newscast remains unanswered. A couple watching the newscast first alerted the station to what they saw in the closing shot before the Tonight Show. out of screen to the upper right. "Huh. That's a strange direction for an object to be moving," Dean Regas said. Regas knows a few things about moving objects in the air. He's the Outreach Astronomer at the Cincinnati Observatory. it's usually the other way," he said. was coming from over the horizon of the hill beyond the riverfront. But upon further enhancement, it appears in the sky between the hill and the camera, not beyond the hill. "A UFO, that's what I'll call it. That's my official decree, official judgement," Regas joked. 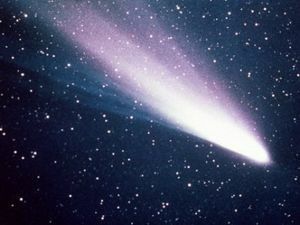 Halley's Comet was last seen passing near the earth 24 years ago. 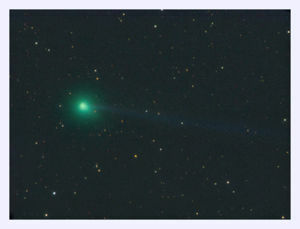 called the comet's cosmic dust. 3 to 4 days before and after May 6th. 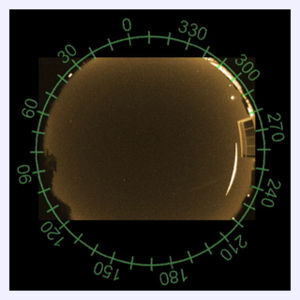 the southern hemisphere there is going to be maximum visibility. reports of possible meteor sightings early Monday morning. flash could be seen north of Janesville around 4:00 a.m. So far no images from this latest reported sighting have been released. 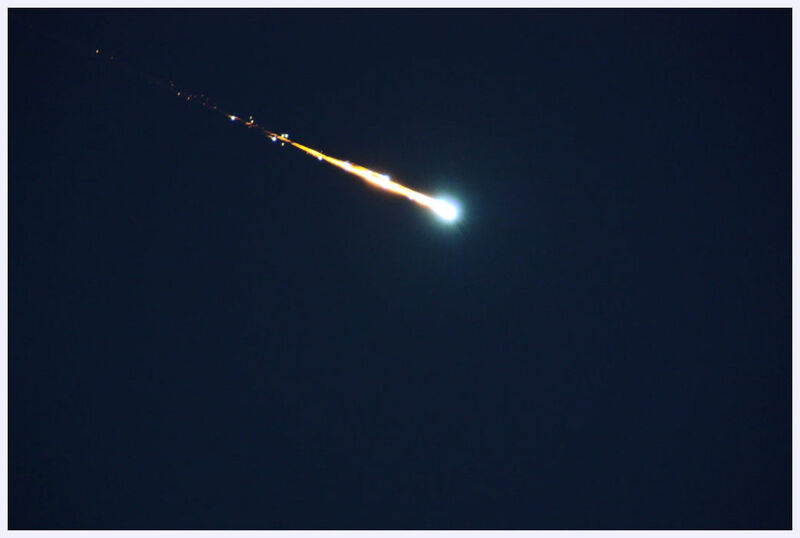 fireball meteor over Central Maryland just before dawn Monday morning. but let's see what other accounts might come in. 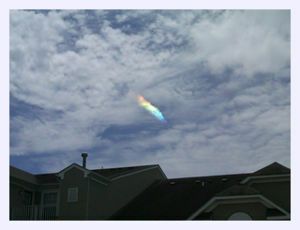 started searching on atmospheric sightings and came across your blog. "Mississippi 1, Mississippi 2, Mississippi 3" to estimate seconds). rough location of any parts of it that may have reached the surface. and Indiana talking about a possible meteor. Orland Park, Matteson, Michigan City, Belvidere, Peoria and Wisconsin. green light streak across the sky. to register on their measures, they wouldn't be able to confirm it. 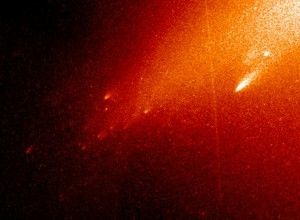 sun may have stolen the vast majority of its comets from other stars. reservoir surrounding the sun called the Oort cloud. then migrated outward in a two-stage process. elongated orbits to form a population called the scattered disc. 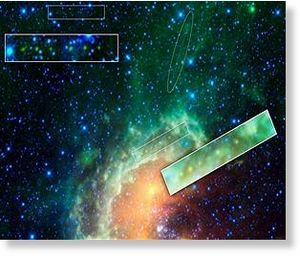 objects get pulled out to populate the Oort cloud. more like 700 to 1.
along with them, getting captured into wide, Oort cloud-like orbits. cloud, probably were too, Levison says. This image from WISE shows the Tadpole nebula. catch an asteroid in our solar system passing by. next, rather than streaks in a single frame. out hidden stars such as these. orbits the sun every 4.3 years. is green; and 22-micron light is red. 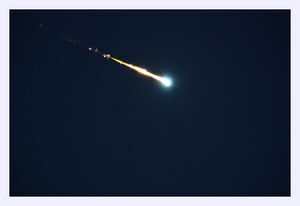 Jennifer Doering is sure one did because she saw it around 9:45 p.m.
and even saw it explode as it came close to earth. the Highcrest Trailer court and Kootenay Orchards Elementary School. wondering what she really saw. "It was as low as a helicopter would go. That's why it had to land somewhere in town." saw nothing unusual at all. "We didn't get any reports about anything close to that," he said. B.C. and the states south of the province in mid-May. Two more reports have come in about a meteorite seen over the Cranbrook-Kimberley area around 9:45 p.m May 12, but it's no longer sure if the celestial object was a meteorite or a comet. object flew over the region last Wednesday. the atmosphere. It was the second one I had seen so bright in my life. and her observations matched the previous two. and it appeared to split in two." Kaun said the object appeared to be going in an east to west direction and it was all over in less than two seconds. She said it occurred around 9:30 in the evening which is consistent with the other meteorite reports. it got that far, but it was very bright." high-flying object appeared to explode. 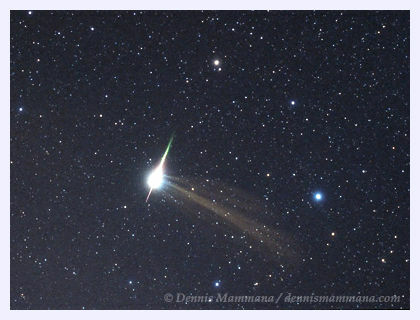 According to the American Meteor Society, most meteor showers have their origins with comets. orbit of the comet to form a meteoroid stream or "tail." 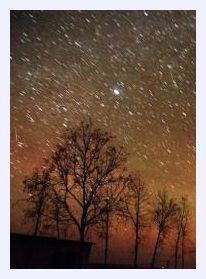 stream as they encounter the earth's atmosphere. hidden in the Sun's glare or below the sunrise or sunset horizon. before dawn for at least part of June, during its runup in brightness. And in fact, the comet is turning out to be 1 or 2 magnitudes brighter that we predicted in the June Sky & Telescope (page 60). Let's hope this behavior keeps up! waning gibbous Moon will brighten the sky. 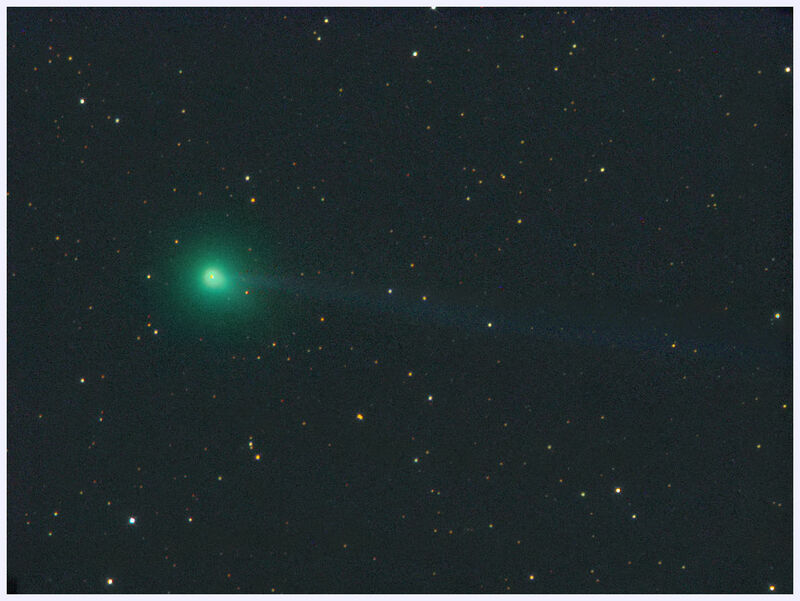 The June comet crosses Perseus, low just before dawn, when at its best in June. it's within about 2° of the 2nd-magnitude double star Gamma Andromedae. The Moon is much thinner then, but also closer to the comet. the sky will be free of moonlight. as bright as 4th or 5th magnitude, but moonlight is returning. reaches perihelion on July 2nd, 0.405 astronomical unit from the Sun. rapidly as it heads to the far-southern sky. unexpectedly or perhaps fizzle right out? Print out our map, plan where and when to look (find when astronomical twilight begins at your location using our almanac, and don't forget to check the Daylight Saving Time box if necessary), and see for yourself. Check on recent pictures and light curve. named for Robert H. McNaught of Australia's Siding Spring Observatory. tail across the Southern Hemisphere's evening sky. 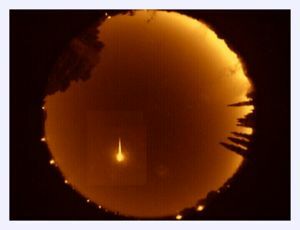 A Leonid meteor storm in 1999.
climate, the lead researcher said Thursday. 50 kilometres (31 miles) wide and about 35 million years old. "This defined a major impact cluster across the planet," said Glikson. temperatures which preceded the formation of the Antarctic ice sheet. for the Earth's climate," he added. with the impact of a celestial body on the planet Jupiter last July. professor Agustín Sánchez Lavega, have appeared in Astrophysical Journal Letters. in the Solar System, on July 19, 2009.
years previously, in July 1994.
telescope among others, immediately set about analysing the phenomenon. the planet's atmosphere have been published. the impact in Jupiter's atmosphere. being blown from the Icelandic volcano currently erupting. The study of the impacts on planets helps us to get a better understanding of those that could happen on Earth. boom," explained Kim Owen, a Salladasburg resident. had heard a loud boom." who said the noise sounded like that of a transformer explosion. outside, but found and saw nothing unusual. several places, finds it "just really weird." "distant thunder" but much louder than to consider it as such. in the area that evening and received no calls about the noise. said he was unaware of the matter. sound, Frey said there was "nothing out of the ordinary." have never heard it in Rauchtown," Owen said. explosion at any of the sites that evening. activity having occurred at that time. "sonic boom" that occurred in the area during the summer of 2001.
crashing through the earth's atmosphere. nearby cornfield on impact, according to news reports of the time. Attempts to reach the state police for comment were unsuccessful. 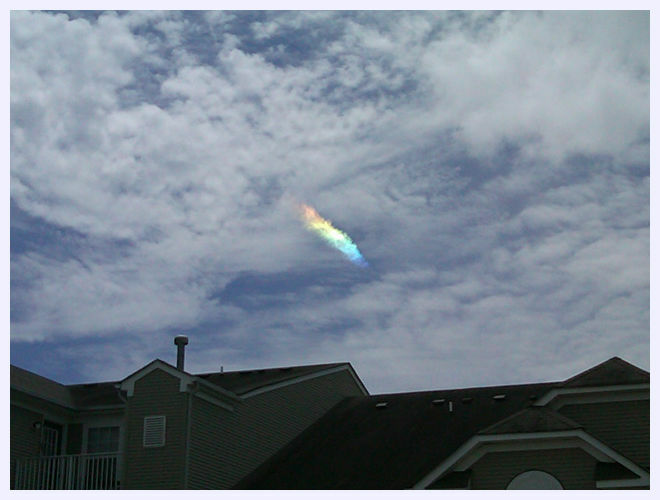 Photo of object over Virginia Beach, May 25, 2010.
falling toward the Atlantic Ocean just before noon. not sure at this point." was not associated with any known shower. shallow entry angle are both indications of possible meteorite survival. little chance of locating meteorites.. If you saw this event and have not made a report, please do so here. Please check back for further information as it becomes available. over the Kootenays May 12.
is not due back for an encore until 2061.
me really close and not too far away." sky. Some teenagers behind her also saw the extra-terrestrial display. sky. It was amazing to see." the skies on Tuesday night. say it lasted only a minute or two. not aware of any meteors. 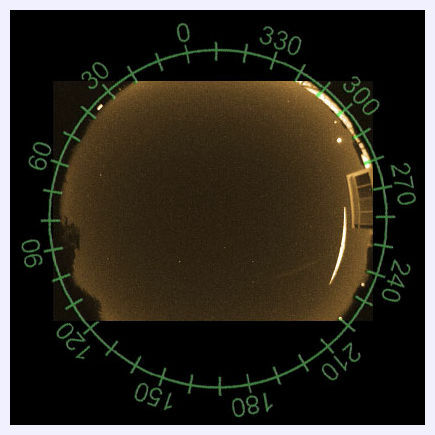 more and more asteroids and comets are caught in its infrared vision. and comets at this time. show all comets seen by WISE so far. near-Earth objects, more than 50 of which are new. 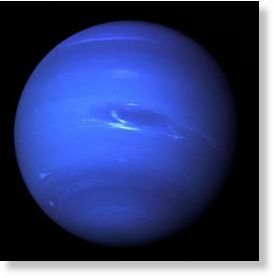 Did a Comet strike Neptune 200 years ago? measurements of gases in the atmosphere of the giant blue planet. 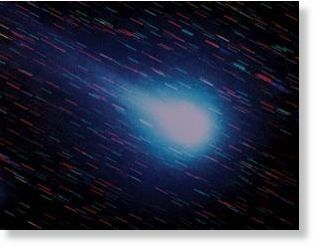 - a possible trace of a comet impact. Herschel results in the journal Astronomy & Astrophysics. up in the planet's atmosphere, an internal source seems less likely. cometary icy body impacts," he says. ices is liberated to form carbon monoxide. past 200 years a bit of a surprise, but "perfectly plausible"
1. Lellouch, E. , Moreno, R. & Paubert, G. Astron. 2. Fletcher, L. N. , Drossart, P. , Burgdorf, M. , Orton, G. S.
& Encrenaz, T. Astron. Astrophys. 514, A17 (2010). 3. Lellouch, E. et al. Icarus 159, 112-131 (2002). I just wanted to say that I have enjoyed your blog for a while now. I was wondering if I may link to it on my forum from time to time? No plagarism, just quoting and direct link, but won't if it is not ok with you. either way, please keep up the good work. I am a novice, but I learn a lot from your blog. Yes, of course. You are welcome to link to this blog or to any of the articles on SOTT.net. We are very happy when people find our work to be useful. And since it is also such an important information, better to spread it far and wide. Could you please provide a link to your forum? Thanks a lot.